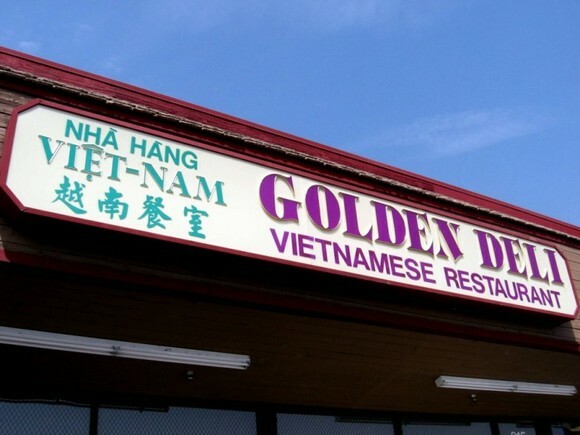 Golden Deli is considered to be Los Angeles’ best Vietnamese restaurant by many discerning diners. It’s too early in the game for me to chime in on which Vietnamese eatery I think is the city’s best, but Golden Deli is definitely an all-around solid joint. 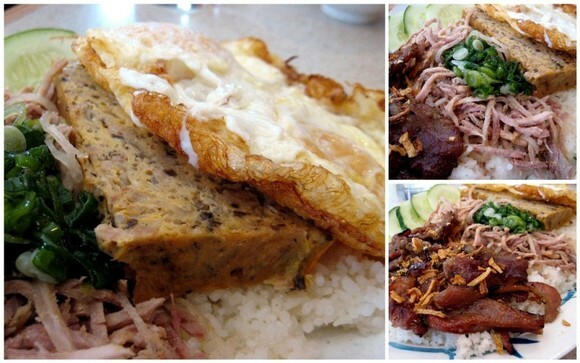 In comparison to Cơm Tấm Thuận Kiều and arch-nemesis Vietnam House, Golden Deli has a spiffier and warmer interior. Pleasant ambiance isn’t something I seek out in Vietnamese restaurants, but I appreciate it where it’s found. The people who work here are also really fantastic—I had fun conversing with our waiter in my growing-worse-by-the-day Vietnamese. 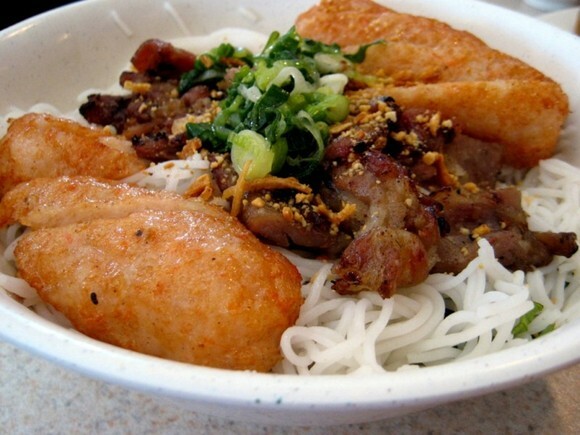 The cha gio here are hefty and generously stuffed with ground pork, wood ear mushrooms, glass noodles, and carrots. The plate of greens and herbs served with the rolls was plentiful, and the nuoc cham was just right. There’s no doubt that Golden Deli churns out a tasty cha gio, but like a lot of Vietnamese foods found in these here parts, they’re far too large. As a result of their bulk, oil tends to cling to the wrappers, creating a heavier overall package. 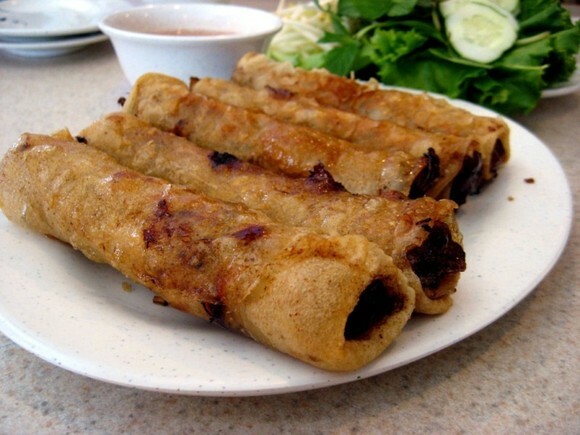 Vietnamese food, even of the deep-fried variety, should always be light and fresh. The title of best cha gio in the observable universe goes to my great aunt Ba Sau—her pinky-sized rolls with perfectly blistered wrappers are unrivaled. Carissa requested that I order her something fabulous, so I chose one of my all-time faves—com tam bi cha thit nuong trung opla ($7.95). The broken rice platter was comprised of three awesomely delicious and awesomely different pork preparations, along with two fried eggs. Carissa’s favorite was the tender pork loaf. She gave me a taste and I was very impressed—the loaf was steamed to perfection and tasted just like grandma’s. I ordered a bowl of bun thit nuong chao tom ($6.25)—cool vermicelli rice noodles topped with grilled pork, grilled shrimp paste, crushed peanuts, fried shallots, and scallion oil. Beneath the noodles and meat were a heap of bean sprouts, shredded lettuce, and herbs. The bun thit nuong chao tom was highly enjoyable but would’ve been better if the shrimp paste had been served with its traditional sugarcane skewer. In a city brimming with great Vietnamese eats, it’s the little details that give one restaurant an edge over the others. Show me the sugarcane. 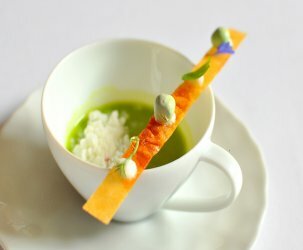 Growing up in France, I remembered the cha gio (though they were called ‘nem’ there…what’s the difference?) being small and pinky-sized. I agree that the gargantuan rolls of the West Coast are inferior. Of course, the reasons are quite simple. 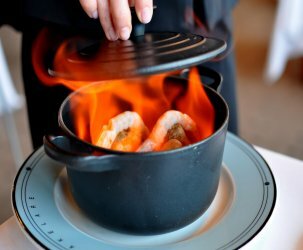 If you deep fry something bigger, it takes longer to fry, and lowers the temperature of the oil further, making the absorption of oil more likely, and the cha gio more greasy. Where might one find smaller cha gio/nem? Jon – “Nem ran” and “cha gio” are the same food—Northern Vietnamese folks call it “nem,” while Southerners call it “cha gio.” I have yet to find a reasonably sized cha gio in L.A. Popular Vietnamese restaurants in the SGV, like Golden Deli, seem to influence how competing restaurants present and prepare their food. It’s almost as if everyone makes their cha gio humongous because it meets diners’ expectations, and most importantly, sells. What kind of viet deli is this? 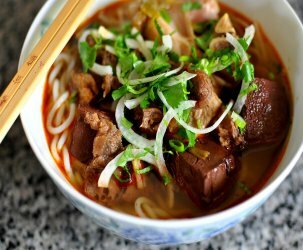 No Banh Mi Dac Biet? Cousin danny was nice enough to bring timmy, aunt kim, and myself some banh mi dac biet from a chau. I was looking through your website and i have yet to see a write up on TACOS EL GORDO. check it out. its in national city. Cousin Michael – Damn good question! A lot of restaurants in this area have names that have little or nothing to do with what’s actually served. Tacos El Gordo sounds like a real gem. Let’s go together during Memorial Day weekend! mmmmm! that meal was so good! lets go again!